As Superman is so fond of saying, air travel is—statistically speaking—the safest way to travel. When planes do crash, though, they often leave tremendous carnage in their wake and, in the case of commercial airliners, massive losses of life. Plane and other major passenger transportation crashes, however rare, have huge impacts. Which is why the National Transportation Safety Board (NTSB) employs aviation accident investigators to find out exactly why crashes occur, and how to prevent them. The NTSB is tasked with investigating all aircraft crashes in the United States and those overseas involving U.S. aircraft. They may also provide support to other international investigative bodies upon request. In addition to aircraft investigations, the NTSB is also responsible for other major transportation disasters such as train crashes and derailments and significant multi-vehicle traffic crashes and traffic-related events. When the call of an airplane or other major transportation crash comes, NTSB investigators deploy to the scene as quickly as possible. Time is of the essence to capture and preserve evidence that won't last long. According to statistics from the NTSB, investigators handle more than 2,000 aircraft crash investigations and over 500 other investigations per year. Major incident investigations can take as long as a year, and sometimes even longer. Since the NTSB employs about 400 people nationwide, you can imagine the job of an investigator is incredibly busy. NTSB investigators do not have arrest authority. In the event criminal charges are anticipated, FBI agents will take on the lead role in the investigation, and the NTSB will provide logistical, forensic science and expert support. NTSB Investigators may be stationed at either their headquarters in Washington, D.C. or regional field offices in Ashburn, VA; Denver, CO; Federal Way, WA; and Anchorage, AK. The most critical part of any major incident investigation takes place on the scene. With no way to predict when or where a crash may occur, NTSB Investigators must be on call and ready to go at a moment's notice and be prepared to remain on location for weeks if necessary. On scene, investigators work closely with local, state, and federal law enforcement agencies and take the lead role in the investigation unless criminal charges appear warranted. They collect evidence, record interviews, secure the crash scene, and review flight history and other data. They must be ready to work in a variety of uncomfortable and undesirable environments, including deserts, deep water conditions, and swamps. They need to be prepared to deal with massive trauma and death. Days on a scene can be extremely long, and conditions can be harsh. Investigators may find themselves working 16 and even 24 hours straight at the beginning of an investigation. The NTSB requires investigators to be U.S. citizens and have a valid driver license. They may not have any financial interests in any transportation enterprise. New aviation accident investigators must have a combination of education, experience, and skill to get hired with the agency. 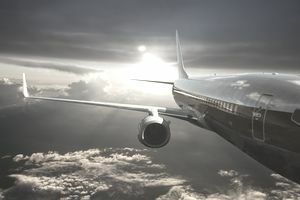 They must have at least a master's degree and demonstrate knowledge of aviation techniques and accident investigation, which can be obtained through various aviation degree programs. Experience in forensic engineering sciences is also helpful. Aspiring investigators must also be able to write well-organized reports and be able to communicate effectively in case they are called to provide courtroom testimony. According to the NTSB, aviation accident investigators earn between $51,000 and $117,000 per year. The wide salary difference is due to the varying levels of education and expertise investigators are hired at and the location in which investigators are stationed. NTSB investigators need to have a very specific knowledge base and expertise. If aviation and transportation appeal to you and you're interested in finding out how mass tragedies occur, this has the potential to be a fascinating career. Be prepared for the extremely long hours and days away from home, and be ready to deal with tragic and gruesome scenes. If you think you can handle it, this may just be the perfect criminology career for you.